Welcome back to all our staff and pupils and a very special welcome to all our new staff and pupils. 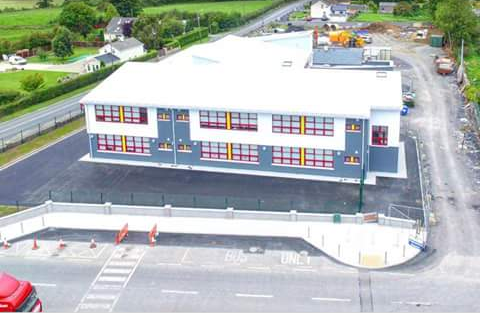 We are very excited because we have moved into our brand new school building with its modern facilities and resources. We have achieved so much since October 2016. Work is still in progress and we look forward to its completion in November. Rang III participated in a five week swimming block at The Mall Complex during March. 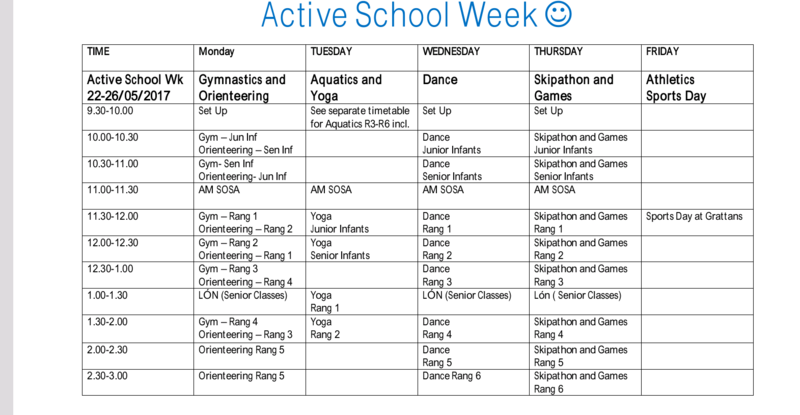 Land Aquatics will be taught during May in the junior end of the school. Dance was the main strand taught throughout the school during March, with special emphasis on Traditional Dance e.g. Baile Luimní, Ionsaí na hInse agus Droichead Átha Luain in conjunction with Seachtain na Gaeilge. Professor David Hevey’s (TCD), programme co-ordinator held a ‘focus’ group with parents of the school in order to evaluate the programme on Wednesday, 29th March. Our Senior Boys’/Mixed team have qualified for the Division 1B Championship Final to be played in mid-May. Our Senior Girls’ Team, while a very young team did themselves and our school proud in the Division 2 Championship. Our Senior Boys’ team got to the quarter finals stage of this year’s Mini 7s on 3rd May 2017. 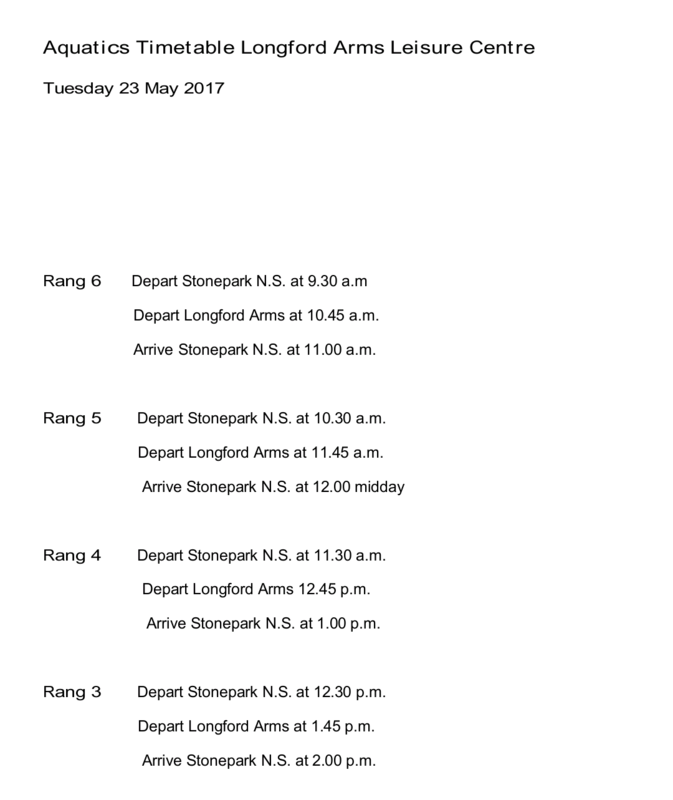 Our 3rd and 4th class pupils will play in an inter school friendly blitz with St. Joseph’s on 16th May 2017 – an event organised by Longford Coaching and Games. 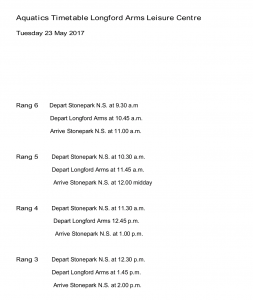 Our school hurling team will partake in the Co. Longford Primary Schools’ Championship on 25th May next. Many thanks to Kathlyn Quinn of Coaching and Games for all her hurling coaching and skills training. Also many thanks to Kathlyn for her Gaelic Football coaching during the first term of this year. We entered three boys’ teams and one girls’ team in the recent Spar 5 a side tournament. Our boys’ A team emerged as County winners in the Boys’ B Cup (Medium Sized Schools) and represented Co. Longford at the North Leinster Finals in Navan on 27th April. Our 4th class Boys’ team also took part in the local Co. Longford 4th class boys’ soccer competition. Our 3rd and 4th class Boys’ relay teams participated in the Co. Longford 4x200m relay races in Newtownforbes on 28th April 2017. This was organised by Longford Athletic Club. organised by Coaching and Games Development. Complex on Friday, 2nd June. There will be 3 v 3 games as well as 5 v 5 games. 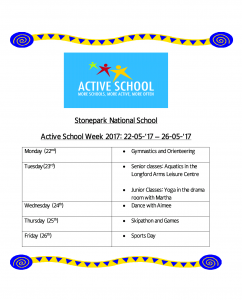 Active School Week will be held from Monday, 22nd May to Friday, 26th May inclusive. This is our provisional timetable. Stonepark N.S. works in partnership with G.A.A. Coaching and Games Development, Cumann na mBunscol, Grattans, F.A.I., V.A.I., A.I. and L.A.C., Longford Sports Partnership, H.S.E., The Mall Swimming Complex and Super Troopers. 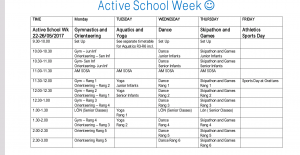 Gymnastics and Games (Volleyball/Spikeball) were the two main strands taught throughout the school during January and February. Rang IV and Rang II participated in the Aquatics strand in The Mall Complex, Longford in January and February. The Dance strand will be the primary focus during the month of March throughout the school. Rang III will be going swimming during March. All classes will continue with the Super Troopers Programme which focuses on physical activity, nutrition and wellbeing. Professor David Hevey’s team from Super Troopers/Trinity College, Dublin liaised with all the mainstream teachers through telesurvey in order to find ways to evaluate and improve the programme. Also all families in our school were given a questionnaire to evaluate the programme and to make any recommendations for any future programmes. Professor Hevey and his team plan to visit our school and hold a ‘focus meeting’ with a number of parents in order to enhance this programme. On Friday, 10th February at 10.00a.m. the whole school took part in Operation Transformation’s 10 @ 10, a nationwide initiative inviting all primary schools in the country to drop all and do 10 minutes of physical activity. Such was the enthusiasm in our school that we extended it to 40 minutes! We entered 7 teams (3 boys, 2 girls, 2 mixed) in the local Roscommon, Westmeath, Longford, spikeball competition which was held in Mercy Secondary School, Roscommon on Monday, 23rd January. Our two mixed teams qualified for the Connaught Finals held in Loughrea on Thursday, 2nd March, one of which came joint third. Catholic Schools Week took place in our school from 30th January to 3rd February. Peter and Margaret visited for our religious inspection. We held a special prayer service on Thursday, 2nd February to celebrate ‘Caring for Our Common Home’. A child from each class participated in the prayer service and we had special objects on display, namely a picture of Pope Francis, a candle and a globe of the world. Friendship Week took place from 13th – 17th February. 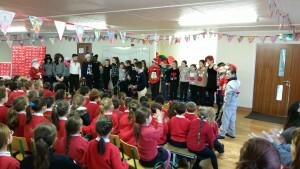 There was a very positive feel around the school with everyone making an extra special effort to be friendly and kind. Each class learned the song ‘Count on Me’ by Bruno Mars and did lessons around the theme of friendship. e.g. A friend’ship’ with all the class aboard, a friendship chain, kind deeds, secret buddy. There was a competition run in each class also. There was such an array of talent submitted, from colouring and drawings to poems and stories. Congratulations to Daniel, Teresa Marie, Eoin, Troy, Aoife, Shannon, Sophia and Shakira who won in their respective classes. We sold friendship bracelets in aid of Amnesty International and raised a whopping €300. Thank you to everyone who supported this worthy cause. On Friday, 17th February, we held an assembly in which we heard and discussed the poem ‘The Crayon Box That Talked’ by Shane de Rolf. We had 8 statement read as to why we are thankful for our friends. We announed our competition winners and we finished off with a whole school performance of ‘Count on Me’. Thank you to everyone who made the week so special. On Ash Wednesday (1st March) Fr. Michael visited with ashes for the staff and pupils. Thank you to Fr. Michael. Well done to the children in 4th class who participated in Cumann Scol Drámaíochta with a play called ‘Samhradh 69’ in Mullingar Arts Centre on Thurday, 2nd March. It was a wonderful experience for the children. Thank you to Ms. Newman and Master Leen for preparing the children for this. Congratulations to Nathan Fitzpatrick who represented our school in the Co. Longford Eason Spelling Bee competition in St. Mary’s N.S., Drumlish on Monday, 6th March. Congratulations to the children in Second Class who received the Sacrament of Reconciliation (First Confession) on Tuesday, 7th March in St. Anne’s Church, Curry. Thanks to Fr. Michael, the parents, Ms. Spillane and Sylvia for preparing the children and to Fr. Joseph who helped out on the evening. Out of the shadows comes the biggest and brightest smile in Longford. Alex Sheridan, the junior and overall winner of the Stonepark 4 Talent show. We are so proud to have had such an array of talent at our show and the competition was very high. The winners of the senior competition, The Styalistics opened the show and set the standard so high. The judges had the most difficult of tasks trying to separate the acts but did and in the most professional manner. A huge thank you to Kat Mahon, Benny O’ Brien and Maureen Dunne, our judges. Next on stage was Niamh Sheahan. Leonard Cohen would be so proud of his work to have heard this wonderful take on Halleluiah. Conor and Tadhg, a class act, took to the stage and their presence was jaw dropping and fun to watch! Tara Crossan created a haunting opening to her song “Clown” and wow, what a finish! Amazing! Simply outstanding! Maria and John were excellent! What a double act and what a talent Maria is going to be in the years to come! Keep an eye out for Maria. Tornado took the stage by storm! A fantastic group of young talent fused together by a very effective and feisty front lady Claire Holland – another group to keep an eye on! After the break we were treated to a wonderful piece by the 5th Class Chancers and boy are there some chancers in that crew! Class Act followed and the man himself, Mr. Mick Hand entertained the crowd with his take on the Headmaster Eamonn Brennan who was looking a little sheepish! With help from Sean Kenny, John Moran and Eddie McHugh this set up a wonderful second half – very very funny! While our MC, the very Stylish Joe Flaherty had some problems with Abby’s surname there was no mistaking the amazing talent this young lady was spellbinding is one of many words one could use! She danced so beautifully. Well done Abby Macko! Next came Unreel…and what an act! 5 young but very experienced and very talented musicians had us all tapping our feet and clapping our hands. Really wonderful to know that traditional music is so well preserved in our young people. Very well done Unreel! Sarah and Tessa or is that Tessa and Sarah…you choose! The act was simply outstanding. These two young ladies kept the audience entertained by this very energetic act. They really displayed the confidence and style of dancers today. The amazing, the wonderful, the rare talent that is Alex Sheridan took to the stage and delivered his song with style, confidence and passion. Some people wiped away a sneaky tear but who could blame them? Alex finished his act to the only standing ovation of the night, something for you to remember if you were there to witness. You saw Alex first in Stonepark 4 Talent. The Spear Tools were the closing act of the night. What a blast that turned out to be! Under the very watchful eye of Sylvia Johnson, this motley crew were put through their paces. Big shout out for Spear Tools…Well done for being such good sports lads and well done Sylvia. the junior winner, Alex Sheridan first. Second, the senior winner, Styalistics. The overall winner was next and you could hear a pin drop as Alex Sheridan was crowned overall winner of Stonepark 4 Talent. A big thank you must go to everyone who helped out in any way leading up to the Stonepark 4 Talent show and on the night itself and to the local community who came out to support this very worthy cause turning the new building at Stonepark into our new school. Fr. Micahel McGrath, Fr. Tom Healy, Fr. Tony Gilhooly and Fr. Joseph Okere visited the the school on Thursday, 15th December to celebrate the Sacrament of Reconciliation with the children from 3rd to 6th classes in their Advent preparation for Christmas. 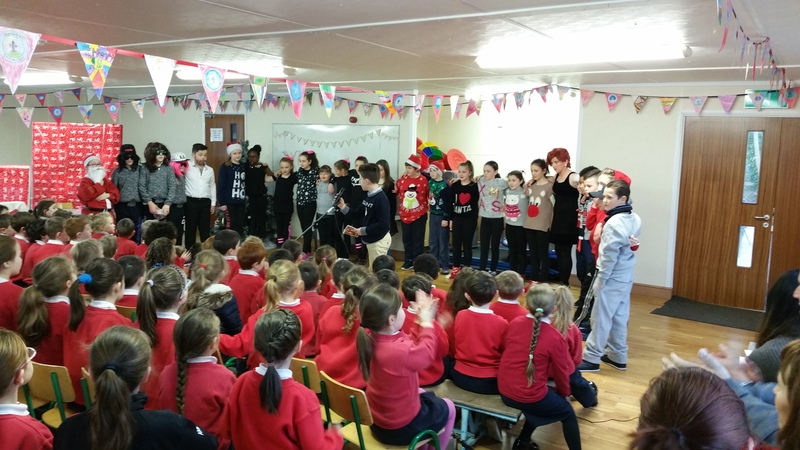 On Friday, 16th December, 6th class hosted our Christmas Fair. There was something for everyone from books, toys, DVDs, computer games, nail painting, competitions (guess the name of the teddy, guess how many sweets in the jar,basketball shots, keepy uppies), computer time and an array of drinks, sweets, buns and cakes. The winner of the competitions were: basketball shots – Peter Farrell, keepy uppies – Harry Mulvihill, guess how many sweets (116) – Shane Magan, guess the name of the teddy (Chris) – Ben Smith. A raffle was also organised with prizes donated by local businesses and individuals. The sponsors were Hanlon’s Gala, The Longford Arms, Backstage Theatre, Tesco, Hair Square, Jack O’ Bites, Top Filling Station (Stonepark), Mrs. Shea, Ms. Spillane, Mc Carrick’s Cash and Carry, Folens Publishers, Farrell & Coy, Milos and Super Valu. A huge thank you to these generous sponsors. The winners of the raffle were Joan Donlon, Ashling Murray, Rose Maguire, Angela Dowd, Doris McCord, Irene Reilly, Billy Creevy, Grandad Kenny!, Emma Gazova, Meriel McCord, Edel Casey, Ann Kelly, David O’ Rourke, Jacqueline Kirby, Leon Delannoy, Marie Cox, Mairéad Reilly and Joshua Hackett. Congratulations to all the winners and thank you to everyone who supported the raffle. A huge thank you to Ms. Mulvihill and all the children in 6th class for organising this very successful event which enables us to buy some iPads for the the school. 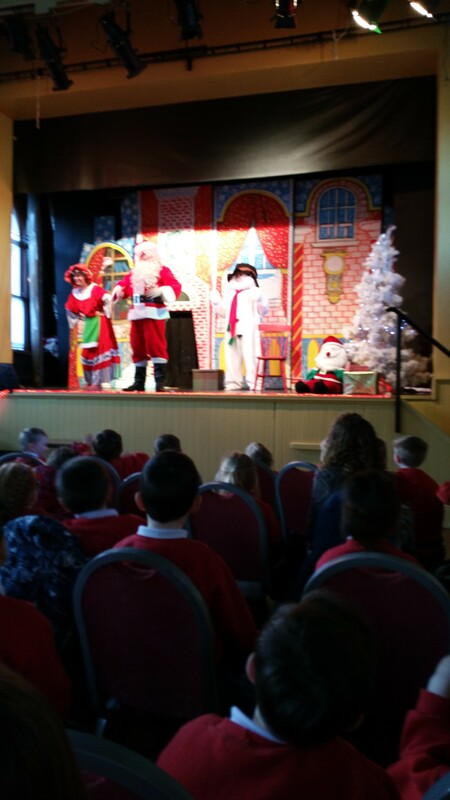 On Monday, 19th December Junior Infants, Senior Infants, 1st Class and 2nd Class visited The Temperance Hall for the Christmas show ‘Frosty the Snowman’ by the Talisman Theatre Company. It was a wonderful experience for all the children (and grown ups!) who engaged with drama and interacted with the characters of Frosty the Snowman, Santa, Mrs. Claus, Jingles the Elf and Little Jack Frost on stage. The children thoroughly enjoyed it. 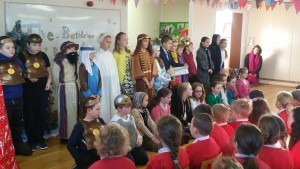 The children in 3rd class and 5th class entertained their families and the students and staff with their Christmas productions of ‘The Bethlehem Baby’ and ‘The Xmas Factor’ respectively. There was wonderful talent displayed. Well done to everyone. Children in other classes actively participated in Christmas Visual Art and Drama within their own classrooms. On Wednesday, 21st of December, Santa and his helpers came to visit the children in our school, weighed down with a gift for every child. Thank you to the Stonepark Parents’ Association for this wonderful treat. Each member of staff recently completed a Basic Life Support Course which was run in our school. Thanks to James McLoughlin from Absolute Safety and Environmental Services for facilitating this course and upskilling staff in such a vital area. We have mainly concentrated on the Athletics and Games Strands from September to December. 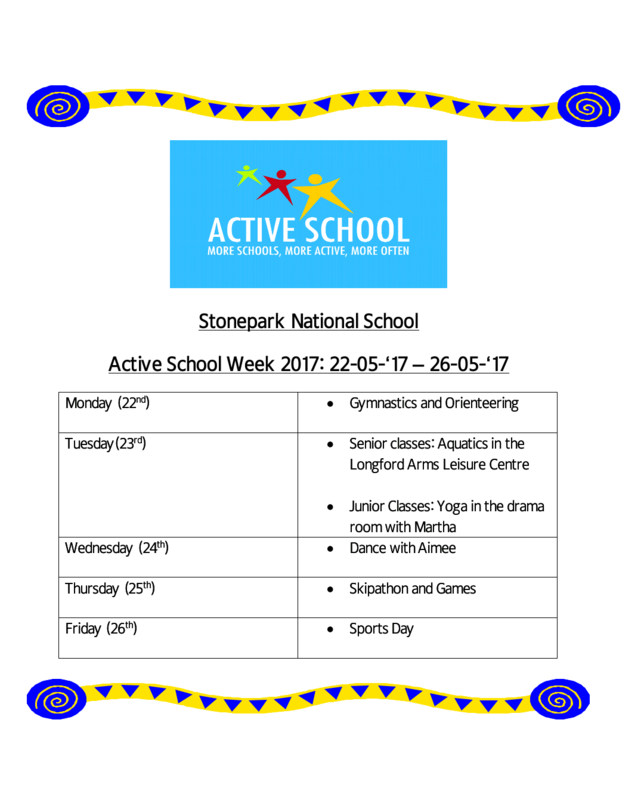 The Aquatics Strand continues from September to March with each class from 2nd – 6th classes inclusive in a five week block session. Land aquatics will be taught from Junior Infants to 1st class. As well as the three strands above a certain amount of activity, be it integrated or stand alone, has taken place with the Dance, Gymnastics and Outdoor and Adventure Activities Strands. On the 24th September our school cross country team competed at Moyne Community School. Seven of our athletes qualified for the Connaught final, our 3rd/4th class boys team came 1st in the team event with 3 of our boys coming in 1st, 3rd and 7th in the 800m race. One of our girls came 2nd in the 1000m race which qualified her for the Connaught finals also. Seven of our athletes competed in the Connaught Primary Schools Cross Country Championships at the IT Sligo on the 14th October. All seven bought home a medal and our 3rd/4th class boys’ team won the 1000m category, with two of our boys finishing in the top 10. Our senior girl finished in the top 10 in the 1200m race. Our mixed and girls’ teams reached their respective finals in the Cumann na mBunscol Gaelic Football Leagues. Our mixed team defeated Edgeworthstown in the Division 2 final while our girls’ team were defeated by Colmcille. We continue to have Gaelic Football and Hurling/Camógie coaching from September to November with GAA coaches, James Moran, a past pupil of the school and a member of Grattan Óg GAA club and Kathlyn Quinn of Coaching and Games Development. Hurling/Camógie blitzs were organised in Edgeworthstown for 2nd, 3rd and 4th classes. Gaelic Football blitzs for 2nd, 3rd and 4th classes took place at Grattan Óg’s Dunbeggan Park. We decided to renew of Active School Flag status despite the ongoing building works. It is almost 3 years since we were granted our first Active School Flag. Bizzy Break! and Bizzy Break! For Rainy Days have been purchased from the Irish Heart Foundation so as to be incorporated into our P.E. programme. We have also registered with Super Troopers which promotes physical activity, nutrition and well-being. This will be rolled out in January. A lot of the yard games are currently being played. The next competitive item on the sports calendar will be our senior team’s participation in the annual volleyball/spikeball blitz in Roscommon in January. 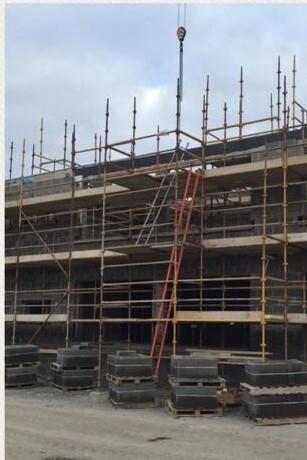 Sammon Builders from Aughnasheelin, Co. Leitrim are currently building a 10 classroom extension to our school. Work is progressing at a steady pace and the project is expected to be completed by October 2017. The oldest part of the school, built in 1893, has been retained and will be refurbished in the project. 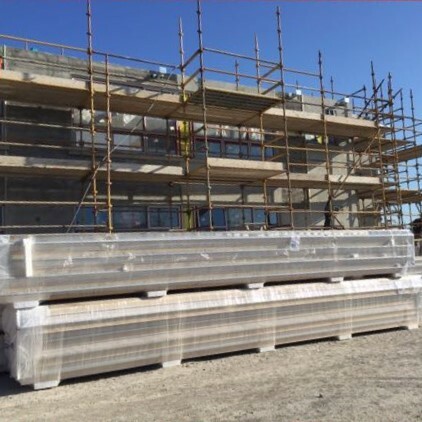 We apologise for any inconvenience caused during construction and look forward to our new state of the art school building. 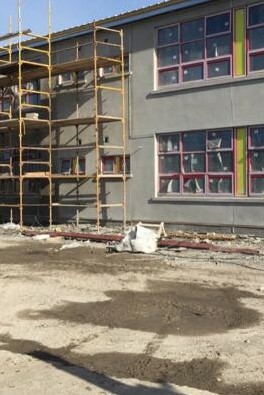 We would like to take this opportunity to thank Grattan Óg GFC for allowing us the use of their facilities and accommodating us so kindly during the building of our new school.